Get romantic on an epic journey through lakes, beaches and palaces of India. Home to more than one billion people fostering under the largest democracy on the Earth, India represents a nation that has civilization as old as the very first ‘sense of existence’ a human had ever experienced and dream of. The country among the leading precursors of knowledge and learning had the earliest words of wisdom composed in Vedic Sanskrit text known to be as Vedas. The veracity and great assimilation power to transform all of its invaders and immerse them into her influence has sustained the oldest civilization to develop into a most versatile country that has 438 living languages and a great number of religions, faith and believes that co-exist with each other despite their differences with each one’s own sanctity, individuality and freedom. However, a crowded nation, India with a very wider spectrum of culture, languages, flora and fauna, history, geography offers a collage of humanity with an inevitable impression of satisfaction and fulfilment as trailed through a complete story of man from the birth to nirvana. A blend of contemporary with traditional as represented by modern cities and an extensive rural landscape, India is a spot for a stirring and treasured journey. On arrival at Chhatrapati Shivaji International airport in Mumbai, meetings & greetings by Max Holidays representative who will transfer you to your hotel for night stay. 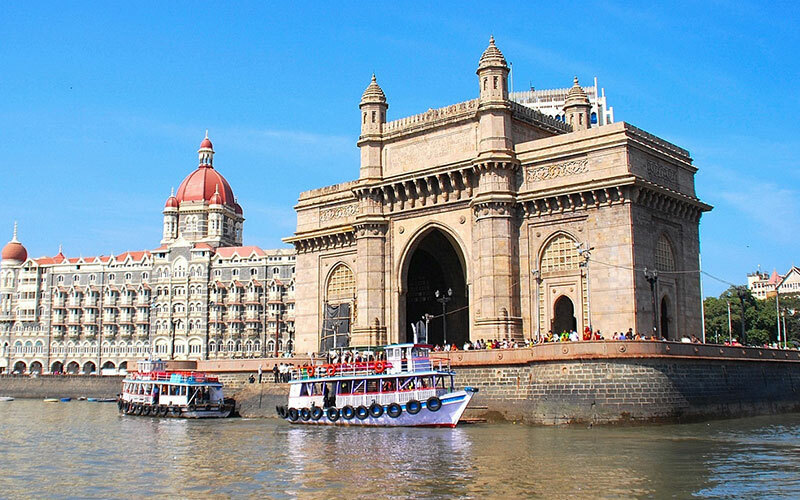 Start your Essential India tour package with a full-day guided sightseeing trip of Mumbai by visiting the Gateway of India (Built in 1911 during British rule in India by to commemorate the visit of George V and Queen Mary this marble arch overlooks the Arabian Sea). Gateway of India was also the point of exit for the last British regiment from India after ruling over India for about 200 years). After sightseeing of the Gateway of India, drive past Victoria Terminus also known as Chattrapati Shivaji Terminus that is declared as a World Heritage Site under UNESCO. It is a Railway Station designed in Victorian Gothic Style Architecture of India. Later, drive past through the Marine Drive-coast line of Arabian Sea that forms a long arc shaped avenue along the South Mumbai Coast, Haji Ali-is one of the most popular Dargah visited by people from the religions, Rajabai Clock Tower-is a 250 feet tall clock tower designed by an English architect Sir George Gilbert; its design is similar to the Big Ben in United Kingdom, Dhobi Ghat-is a 140 year old open air laundry where clothes are washed in bulk on regular basis; located near Mahalakshmi Railway Station, Juhu Chowpaty Beach. Must give a visit to Prince of Wales Museum – due to its admirable architecture is considered as a heritage site and one of the most significant museums in India. Also visit Mani Bhavan – located on Laburnum Road was headquarter for 17 years of Gandhi’s at Mumbai. Overnight stay at Hotel in Mumbai. 1)	Elephanta Island: Take a boat ride to reach the Elephanta Island dedicated to Lord Shiva during the 7th century. The rock cut caves attract a large no. of travelers every year. 2)	Dabbawala Tour: The Dabbawala Concept was started by a person named Mahadeo Havaji Bachche. He started with delivery of lunches of about a hundred men a day. Dabbawala is basically the person who is delivering the lunches for the employees who are working in the offices at different locations. The tour will start in the morning when the guide will pick you up from the hotel and will drive to the Churchgate where you can see many Dabbawalas putting in many Dabbas in a wooden cart from the train. At Churchgate Railway Station guest can have a look over how the people in Mumbai stand in Queue to take a ticket for local train for reaching their offices on a regular basis. In this tour, the guest can also have an experience of travelling in the local trains. You will be travelling in the First-Class Compartment from South to North Mumbai where there is no crowd. 3)	Dharavi Tour: Dharavi is a place in Mumbai where slums live. There is a big part of India who lives in slums and has to fight for their livelihood every day. The tour will start with a visit to the commercial areas of slums where you can see people recycling the wastes. A tour guide will assist you throughout the trip & also while meeting the slum people. 4)	Bollywood Tour: The tour starts in the afternoon; a Bollywood Tour Guide will assist you for the tour and give brief information about the evolution of the Indian Film Industry. Late afternoon, watch a dance performance by the Bollywood dancers. You can also join and experience the Bollywood beats. Later you will be taken to various locations where shooting for movies, T.V. Serials, Ad-Films etc. will be going on. In the Evening, you can have a look over live recording studio. Later can also have a look over the Film Star Houses from outside at Juhu and Bandra. Late evening, you can watch a Bollywood movie being at the famous Regal / Eros Theatre where the major blockbuster movies have been premiered & released. Local snacks like samosa, cold drinks or cutting chai will be served during the interval. After breakfast at the hotel restaurant, we will drive to the Mumbai domestic airport to board our flight to Jaipur. 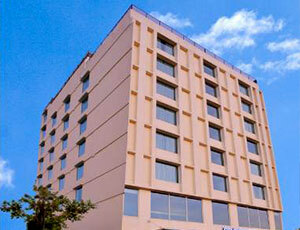 Here our Jaipur local representative will assist you to your pre-booked hotel. After quick wash and change, we proceed to visit the famous astronomical observatory of Jantar Mantar with bizarre sculptures. Also visit Birla Temple – the temple dedicated to Lord Vishnu & Goddess Lakshmi made with architectural beauty in a modern form. 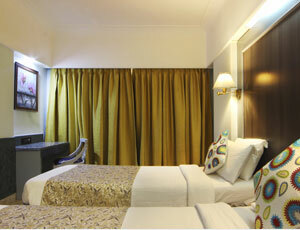 Evening free for leisure time, overnight stay at Hotel in Jaipur. Referred as the ‘city of victory’, Jaipur is the capital of the Royal State of Rajasthan. Founded by Maharaja Jai Singh II in 1727, the buildings in the old city of Jaipur were painted in pink color (color of hospitality) in 1876 to welcome the Prince of Wales (later known as King Edward II). Drive through the old city to visit the Amer Fort which is 11kms out of Jaipur. The stunning and massive Amer (or Amber) Fort is a glorious structure situated on the top of a hill in the Aravalli ranges. A decorated elephant ride to ascend the fort is going to be a most memorable experience you will have during your India tour. See the beautiful courtyard, gardens, rooms and finely carved roof of the palace. After the sightseeing of Amer fort hear toward the city on the way Photo Stop at Jal Mahal Palace – a Palace made on an island gives the most beautiful view. In the afternoon, you can have a food walk in the streets of the pink city, which will allow you to taste different local cuisines of Rajasthan like Samosa, Kachori, Puri Sabzi, Pakodi etc; even you can experience the traditional food of Rajasthan Dal Baati Churma. The walk will begin from Hawa Mahal to Triploya Bazar, Hanuman Ka Rasta, Gopal ji Ka Rasta, Johari Bazaar and will end up at a pre-decided place. If still a little space is left in your stomach, you can have lunch at Laxmi Misthan Bandhar. Evening free for leisure. Overnight stay at Hotel in Jaipur. Optional Visit: Gaitore or Albert Hall, Rajasthani Folk Dance with dinner in City Restaurant or Hotel. After breakfast, we will drive towards 90 kms from Jaipur, to Abhaneri village which is known for its historical step well Chand Baori, which are beautifully carved. This step well was used to reserve water. Though the city lies in ruins now but the small hamlets at the village can be seen. The unique and huge structure of the step well invites thousands of travelers from around the world who visit here for tourism, study etc. Optional Visit: In the evening you can watch the show ‘Mohhobat E Taj’ that is an eternal love story of Emperor Shah Jahan & his beloved wife Mumtaz Mahal in the famous theatre Kalakriti Cultural and Convention Store. Overnight stay at Hotel in Agra. Early Morning, visit the world-famous monument and one of the Seven Wonders ‘the symbol of love’ Taj Mahal. 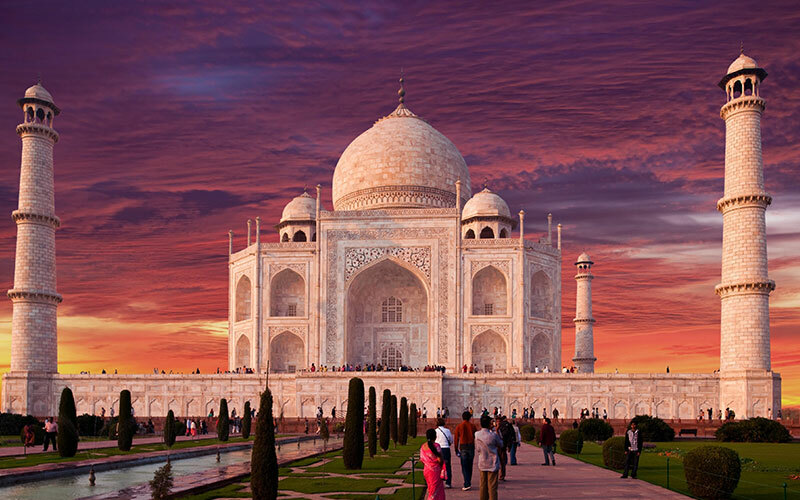 The view of Taj Mahal is mesmerizing at the time of sunrise. You can also take an experience of the Tonga Ride (Horse Cart). Later back to hotel for breakfast, after that will drive to another important monument, Agra Fort located on the bank of river Yamuna, it is one of the finest forts of Mughals in India. India’s capital territory, the center of political power of the nation and an interesting blend of old and new civilization Delhi retains an important place in tourism of India. Every year a large no. of travelers explore its cultural heritage and witness the busy but interesting lifestyle of its people. Morning breakfast at Hotel and then your day begins with altogether a different experience of Salaam Balak Tour. The Salaam Baalak Tour organises a city walk of about 02 hours from New Delhi Railway Station, across the streets of Paharganj finally the way to their shelter home. This concept started in the year 2006 to provide shelter and improve English of the children taken care by Salaam Balak Trust. These are those children who are often kidnapped from the streets or you can say the red-light area and forced to bed of indulge in child labour activities. The Salaam Balak Trust has taken an initiative to take care of these kinds of children. The Tour Guide who will be assisting you along the tour will be one of those children only who will tell you short stories of challenges faced by them. Once the tour is completed, a representative of Max Holidays will meet you at a pre-decided venue and guide you to board metro from New Delhi Metro Station to Jama Masjid. Now proceed for the sightseeing of Jama Masjid the largest Mosque of India. You can enjoy a man driven ride – the Rickshaw Ride. Later give a visit to the Raj Ghat – is a memorial of Mahatma Gandhi ‘Father of the Nation’, Qutub Minar – the tallest Minaret and last but not least Gurudwara Bangla Sahib – a religious place for Sikh. Overnight stay at Hotel in Delhi. Following a leisure morning today, fly to Goa, one of the most romantic beach destinations of India. On reaching Goa, get assisted transfer to your beautiful beach resort, where you can spend the day at leisure while walking though the beach near your resort. Enjoy overnight stay at Goa. 2) Snorkeling & BBQ: A local host will assist you eventually for a different experience underwater. A majestic view of underwater in Arabian Sea by swimming in the depth and see the tropical colourful fishes. As we head out to the Grande Island, you can also have a look for dolphins. Also set up of BBQ feast on the beach will be arranged. 3) Goa by Night: This kind of tour is especially for the ones who like to move around in the evening hours. The local host will meet you at your respective hotel then take you to the tour where you will get to experience the culture and lifestyle of Goa. Firstly, you will be taken to a Cruise, on board you can enjoy the fresh breeze and gently down the river to the Dona Paula Bay, you can have a view of Adil Shah Palace. Late evening, you can get into the party mood as you hear the music, mostly the western & Indian DJ music is played. After an hour of sail, a visit to the local bazaar of Panjim. Later, visit the Mary Immaculate Church which is in the heart of the city. Also, enjoy a mesmerizing view of Panaji City from the church view point. Late evening, enjoy dinner at a local heritage restaurant. Optional Tour: Spellbinding South Goa: The local host will meet you at your hotel and then proceed for the sightseeing of South Goa. In South Goa, you can experience the rich culture and also recall the pre-Portuguese era & the Portuguese era at Ancestral Goa. After that, proceed to visit Shantadurga Temple the local goddess of wealth and fortune. Afternoon, take an easy lap at the Old Goa spice plantations, where we are going to have the organic Goan lunch. Evening drive back to the hotel for an overnight stay in Goa. After breakfast leisurely time at the resort, it’s time to get ready for the departure back to Mumbai. 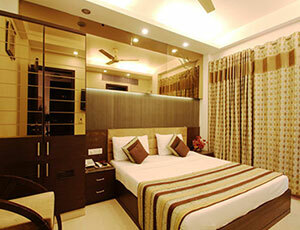 Arrive at Mumbai, and get assisted to your pre booked hotel. The time will be offered free to achieve shopping needs, or to explore markets, or nearby attractions, overnight stay in the hotel at Mumbai. Elephant ride, Food Walk, Tonga Ride, Battery Van ride, Walking tour, Rickshaw ride, Metro ride. You will spend 11 nights in handpicked hotels including a couple of nights in a characteristic hotel and 03 nights stay in a resort near beach in Goa. We may also mix an experience of staying with local Indian families and some bed and breakfast style accommodation. There are 3 flights in this trip. 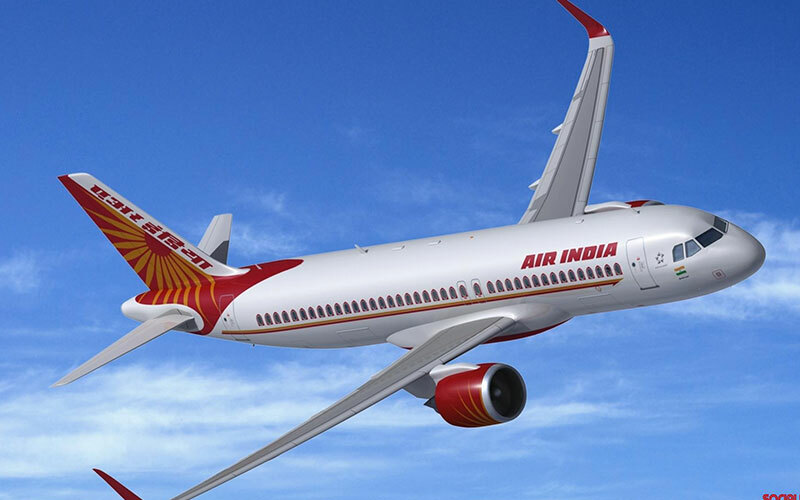 All flight trips are in standard class only inclusive of ticket price and taxes. Cost for the extra luggage you must settled with the airline directly. "Jaipur is a very fascinating destination because of the magnificent architecture, history and a fun ride at elephant to the Amber fort. Goa and Mumbai are the most exotic beaches a very happening place. We loved the journey with Max." "What an amazing guide we had, he really made our trip fruitful. He was thoughtful, organised and ensured that all the group members communicate with each other well and made us in to little family unit. We worked out very hard to manage and arrange all the things with time. He explained everything so well that we carried out in his stories. I liked the optional tours. The hotels were fantastic. I really had a great experience and a memorable tour. Big thanks to Max." "On a trip with Max Team I found they are careful for the execution part. The service oriented company is exceptional with superb transportation and the best guides of all. India is a country full of richness and history, Max will make you get closer to India and have the best experience along with it make sure that you enjoy every bit of the trip. You will always feel safe and protected as the staff is always there to guide you and protect you all the time." "While planning to visit India especially for the first time, many kinds of thoughts were coming up into my mind. When surfing on the internet i came across Max Holidays website which gave me a clear picture of my tour is gonna be. I opted for Essential India tour which i found most likely to me. Max Holidays made my holiday a very cherished and memorable trip for lifetime. There are a lot of more companies who promises a lot of more things at a lower price, but if you compare the services there is a lot difference on the execution part. " "An awesome trip because of efforts of Max Holidays Team. I loved the Incredible India especially Taj Mahal, it’s really beautiful. The holiday went beyond expectation. A big thanks to the Max Tea m for managing our trip so professionally. I would highly recommend your company name if anyone planning trip to India." "My wife and I came to India from London, met at Delhi airport by the driver who accompanied us for the tour to Essential India. The tour was very exciting, well organised and an excellent one. All the hotels were of budget class 3* category neat and clean. We were provided different guides at different places. All the places guides were very knowledgeable and friendly. 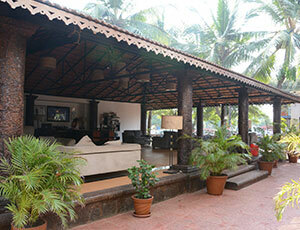 Hotel at Goa was a special treat for us as it was on the beach with altogether with a different view. The representative of Max Holidays helped us smooth check in and check out. The perfect execution for everything, care and consideration of the driver and guides made our trip trouble free and an excellent one." "Thank you for organising such kind of small group tours, I felt safe and made new friends. Travelling in a group saved a lot of time for planning. All the services provided were good, efficient and everything on time. I really liked the optional tour in Mumbai to Elephanta Caves, Goa night market for a great experience." "I loved visiting so many places and doing so much just in 12 days. Our guide was full of information and guided us everywhere very well. He kept the group together and made sure everyone is enjoying themselves. Overall a great trip. A big thank you to Max." "We booked online with Max the tour to Essential India & the tour covered almost everything with a mixture of north India, Mumbai, & Goa. The tour had all that was required to see in India. Taj Mahal in the North, Mumbai the bollywood city, relaxation in Goa. Hotels were very good and at good location. Guides were full of knowledge and the drivers were excellent at their work. We can undoubtedly recommend this company to all the friends and family." "We had the most amazing trip to India and want to express a very special gratitude for this to Max Holidays. 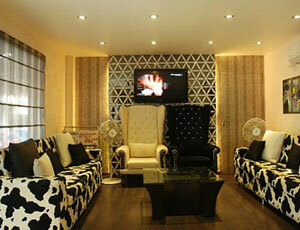 Every detail was perfectly planned and all the services were up to the mark and provided as committed. The communication skill of the guide was excellent and took care of us well." "I would like to express the appreciation for the services provided to us by Max Holidays. Thanks for arranging such a great trip. We really enjoyed every day of this tour as each day brought something new. Thanks for conducting such group tours as it makes us get in touch with people not only from India as we were on a tour to India, but from other countries as well as were on a tour with them." "My wife and I searched a lot online for a good tour to India online and found Essential India the best considering our budget and needs. We booked everything online and all the details were very clear, but then also just to re-check called up on the customer support number. A lady named Vidushi attended the call; she was very polite and listened to us very patiently then suggested us all the things very nicely. The whole process starting from booking till the time tour ended, they succeeded in making everything very easy and in the end making everything very enjoyable." "Firstly I would like to mention, it is very easy booking online through your website as everything is very clearly mentioned. Fantastic experience while on the journey to all the various cities as prescribed in the program. The name derived to this package is really defining everything ‘Essential India’ as all the cities we visited I believed are the essential jewels of India. Mumbai I loved it, i opted for an additional trip as well Bollywood Tour. It was altogether a different experience. Goa the beaches were great, i loved the food their; Jaipur I loved the traditional touch to the city, Agra obviously nobody want to miss due to Taj Mahal, Delhi has all being the capital of India. It was great small group tour. My wife also had fun time. A Big thanks to Max only Max for making everything perfect." "I am really thankful for your support and all kinds of services you provided us...We enjoyed more in sightseeing at Mumbai and Goa.. I am thankful for providing us a good driver who guided us very well...I appreciate your effort for providing us good hotels everywhere at a budget cost. I would like to recommend this to everyone, if you want the best of your tour, guides and service this company is the best option. A special thanks to coordinator Mr. Amit as he made sure that everything is going right and in its place. " "India we can really call it Incredible India, this was my second group tour with this company to India. This time i booked Goa and Mumbai Package, as last time it was for Golden Triangle. This time i wanted to see something unique, after coming back now i can say it really met my expectations. In Goa it was great taking the optional tour of Snorkelling & BBQ, there four other fellow people who opted this tour along with us. We had a great time together sharing the Barbeque as well. All of us started dancing and enjoying food on the beach. It was a life taking experience, I didn’t knew India can provide with such a activity. I would say Max holidays optional tours are something different to do. So, i would recommend everyone rather than taking only normal tour go for some optional as well. Hopefully I will be planning my next trip next year to Rajasthan Majestic Forts & Palaces. Gudbye!" I would love to share my personal experience of travelling for a trip in group. I found that it is pretty much safe travelling in group with other group members, than a solo trip. The tour to Essential India was designed in this way that we got enough time for ourselves as well, as i am the person who likes to see different things instead of only the main monuments. There were many optional tours we can take upon. Mumbai Dabbawala tour was very good; firstly i was not willing to go than my girlfriend forced me, so finally we decided to go on the tour. We made few friends as well who came along with us especially to experience the local train journey of Mumbai. During the tour the most likely destination for me was Goa."